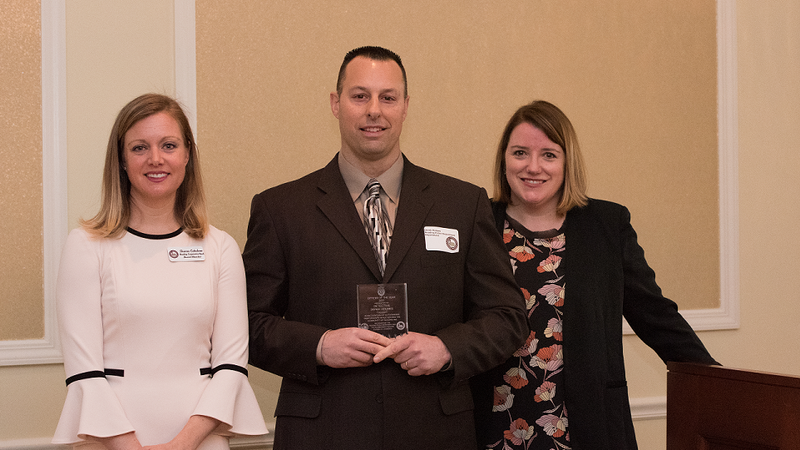 Reading, MA — Chief Mark D. Segalla is pleased to announce that Reading Police Detective Derek Holmes was named the 2017 Officer of the Year by the Reading-North Reading Chamber of Commerce. Detective Holmes has served on the Reading Police Department for 21 years and some of his investigations include child enticement, check fraud, bank robberies, bank fraud, breaking and entering in the nighttime and credit card fraud. Specific cases over the past year include a larceny scheme at a local restaurant that resulted in an arrest, a breaking and entering case where DNA was used to identify a suspect that ultimately led to an arrest, a human trafficking case that leads to a 4 1/2-year conviction and a 10-year probation sentence, and solving a bank robbery and two armed robberies.